Since her debut at the age of thirteen in the legendary joint concert of the Israel and Berlin Philharmonics conducted by Zubin Mehta, Viviane Hagner has appeared with the world’s leading orchestras, including the Berlin Philharmonic, Boston Symphony, Cleveland Orchestra, Chicago Symphony Orchestra, New York Philharmonic, Leipzig Gewandhaus, Munich Philharmonic, and London’s Philharmonia, in partnership with conductors such as Claudio Abbado, Vladimir Ashkenazy, Daniel Barenboim, Ricardo Chailly, Charles Dutoit, Christoph Eschenbach, Lorin Maazel, Kent Nagano, and Pinchas Zukerman. Viviane Hagner has most recently appeared with Tonhalleorchester Zürich under David Zinman, Royal Stockholm Philharmonic under Sakari Oramo, Bamberg Symphony under Jonathan Nott, and Orchestre Symphonique de Montreal under Kent Nagano. 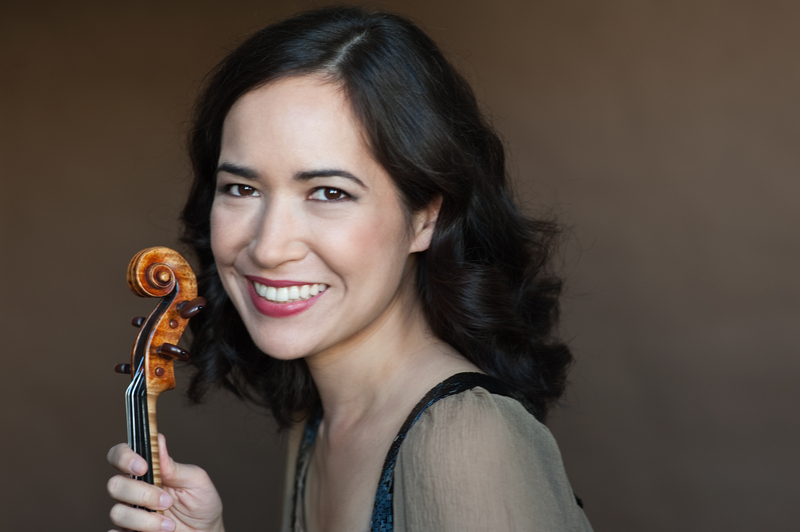 Her most recent recording has been released on the Hyperion label featuring Vieuxtemps’ Violin Concerti 4 & 5, and the Canadian company Analekta has released her recording of Unsuk Chin’s Violin Concerto with Kent Nagano and the Orchestre Symphonique de Montréal. Her first solo recording on the Altara label features works by Bartók, Hartmann and Bach. Since 2013, she has held the same position at Mannheim Conservatory of Music and Performing Arts.